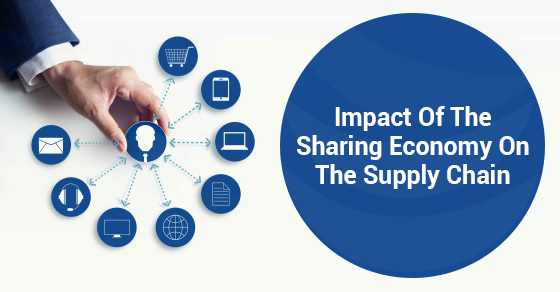 Will The Sharing Economy Change The Face Of The 3PL Industry? The remarkable growth of some of the biggest players in the sharing economy, most notably Uber and Airbnb – which have a collective worth of over $50 billion – is expected to disrupt different industries to some extent, in this case the taxi and hospitality industry, respectively. Unlike traditional businesses that take years to create networks of both intellectual and physical assets on a national or international level, business that use the sharing economy strategy are built on consumer resources. The fact that businesses like Uber don’t own any of the assets means that they don’t have to allocate their returns to asset acquisition, maintenance, or disposal, which makes scaling so much easier. Just to emphasise this point, Uber is currently available in 55 plus countries, and has recently ventured into business delivery fulfilment and food delivery – all in 7 years. There are some new ventures that are trying to apply the sharing economy concept in the warehousing and logistics landscape. Flexe, for instance, is using the Airbnb model of renting extra space for short-term storage/warehousing purposes. For product shipping, established businesses in the industry like FedEx and UPS build large and extensive networks to enjoy economies of scale and growth. This is a $1.25 trillion industry, which means that the logistics sector contributes 10 per cent of the nation’s GDP. This industry is large enough to accommodate new entrants in the space – whether they are multi-million or even billion dollar businesses, but the big players will still feel an impact. One company applying the economy sharing model in logistics is Flexport. This company operates as a freight forwarder, navigating the assortment of shipping options that a client faces when shipping merchandise across borders. In the conventional setting, the trader would have to find reliable shippers, sign multiple contracts, and go through a pile of paper documents. Flexport’s model seeks to simplify this process, so that shipping merchandise oversea is as simple as hiring an Uber and paying just what you owe. The company offers a platform where different carriers display their services, allowing traders to manipulate different variables from the comfort of their home or office until they find a suitable arrangement. Shipping businesses also benefit from listing on the platform. They can respond faster to demand by easily changing rates and timelines to fill out lighter schedules, allowing them to convert excess resources into revenue. Flexport has reported remarkable growth in its first two years, with the founder claiming 25 per cent revenue growth per month, as more customers learn and appreciate the transparency and simplicity offered by the platform. At the local level, where customers don’t have to rely on third party logistics services when they need to haul something, Uber, Flexport, or Flexe can have a dramatic impact on the way business is done. Third party logistics businesses will have no option but to get listed on these services and compete for customers. On the other hand, the appeal of third party logistics is in efficiency, reputation, and credibility, which will take time to be established with a Flexport business model. Timing is a critical factor in logistics especially at the local and regional level, where third party logistics excels. The most likely scenario is startups like Flexport becoming platforms for conventional shippers and third party logistics companies to plan routes and combine trips for optimisation, essentially replacing the current logistics software systems. Want a second opinion on your supply chain? We will provide one at no cost. We are a third-party logistics company that provides dependable and cost effective global logistics and order fulfillment services. Our dedicated and highly trained professionals can increase efficiencies in your global logistics supply chain. Copyright © 2019 3PL Links Inc. All Rights Reserved. Please fill out the form below to request a free supply chain analysis for your company.